We gave been asked for photos of the 16 cheeses we make ourselves. To start, here is a picture of our Blue Wensleydale. 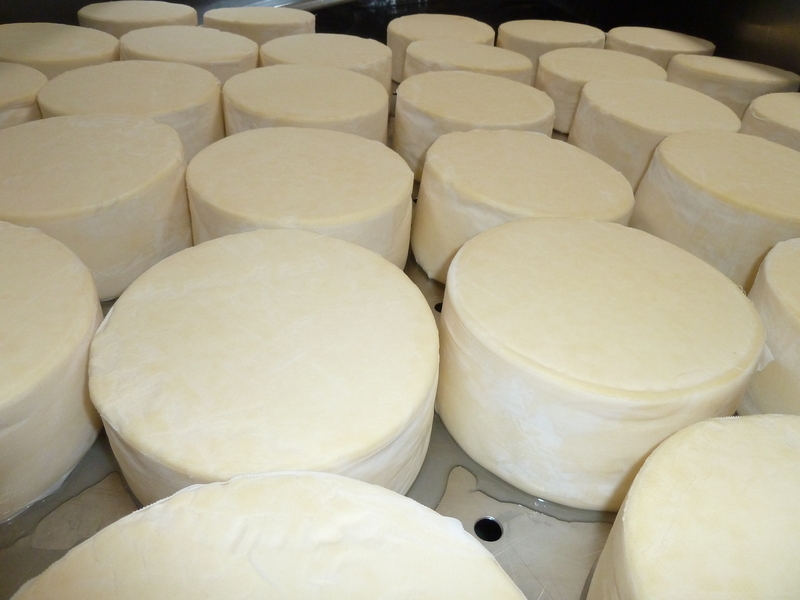 Our milk comes from about 10 miles away and we add blue spore to the vat when we make the cheese. Only when the cheese is pierced, does it develop the familiar blue veins. It has a rich and creamy base, with gentle blueing. We cloth bind it so that it develops a thin natural rind, which you can see in the picture. We pierce it with 4mm stainless steel rods and the blueing takes place over a 10-14 day period. 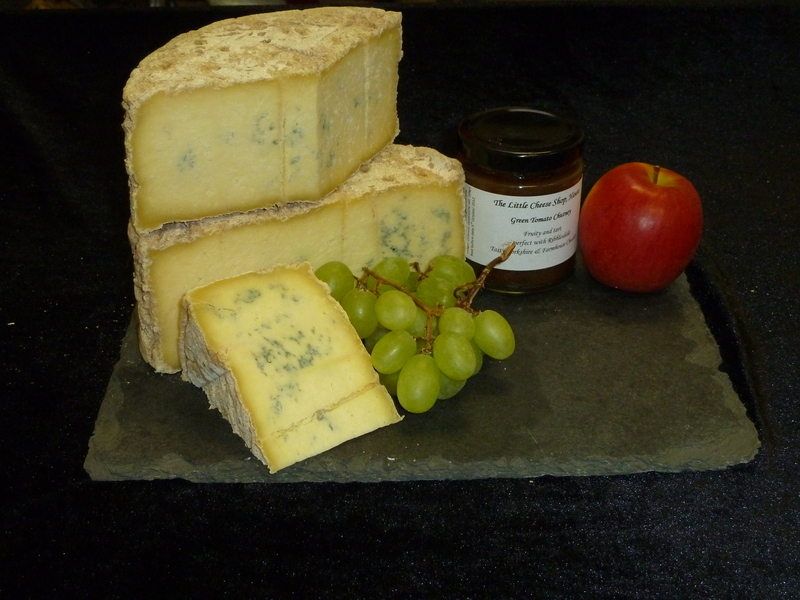 When we first made our Blue Wensleydale, as Blue Wensleydale can be difficult to get hold of, we sold out immediately! We try and stagger when we pierce the cheese so that we can keep up with demand. Ribblesdale Blue Wensleydale - the view with the cloth just taken off - looks can be deceiving! 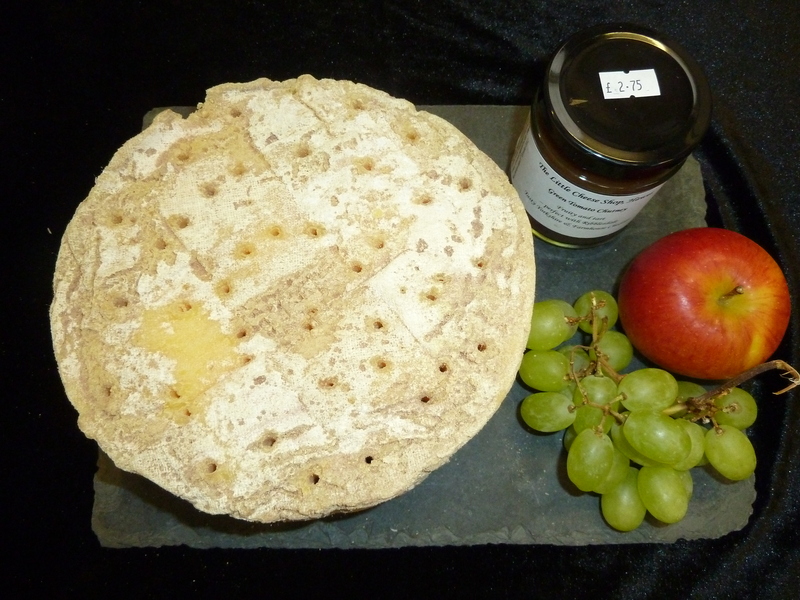 cheese beautifully: pineapple with ginger and spiced pineapple; neither the ginger nor the spices are too overpowering for the blue Wensleydale and the sweetness of the pineapple complements the cheese really well. Our chutneys are available through the shop or wholesale for larger orders.